If you always wanted Nintendo to make a 3D Mario game using some of the best technology in the games industry, you're going to want to watch this video. YouTube user aryoksini has uploaded a video of the iconic plumber running on Epic's Unreal Engine 4. “All the environment assets were taken from the Unreal marketplace, all the character actions were scripted using blueprints only, all animations were re-created from scratch as well as the PBR ready textures,” aryoksini said in the video's description. 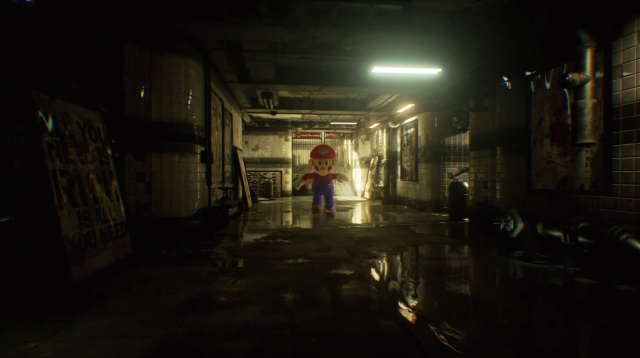 It's pretty cool to see Mario running around environments that look as sharp as the best looking PC games out there, but Mario, of course, is more than just his looks. You'd have to make those environments fun to play before you'll get a proper game, and don't expect anyone to take up that task anytime soon. Recently, a Super Mario 64 fan project that made the game playable in your browser was, unsurprisingly, been shut down by Nintendo. Any projects that use Nintendo's IP without permission will inevitably be taken down as well.